Music Minus One Trombone Deluxe 2-CD Set. Edited by Evan Christopher. Sheet music with CD. Music Minus One. Blues, Jazz. Softcover with CD. 30 pages. Music Minus One #MMO3921. Published by Music Minus One (HL.400741). 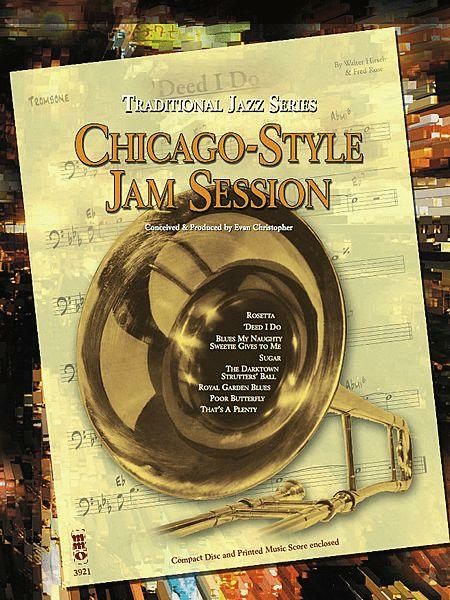 This exciting MMO volume emphasizes collectively improvised ensembles and the succession of individual solos in the freewheeling “Chicago-Style” offshoot of New Orleans Jazz. The rhythmic texture is rooted in the swing feel of the late 1930s, and the instrumentation is typical of the New York groups of this genre. The songs are popular melodies from the 1900s to 1930s as well as multithematic compositions and blues – on this album you'll find such classics as “Deed I Do,” “Sugar,” “The Darktown Strutters' Ball,” “That's a Plenty,” and more. 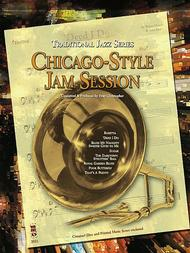 Includes a 32-page music book containing a solo chart for each song containing the melody line and chord changes for proper improvisational playing of each song; plus a concert lead sheet giving the overall “roadmap” for each piece, printed on high-quality ivory paper; and two compact discs containing the complete performance of these jazz combos in digitally mastered stereo; a digital stereo version of each piece minus the soloist; and a special -20% slow-tempo version of each accompaniment for practice purposes.